It’s Fonio Friday! Wondering what’s Fonio? It is a preeminent... – Juka's Organic Co.
It’s Fonio Friday! Wondering what’s Fonio? It is a preeminent African superfood that is harvested in the savannas of West Africa. This millet grain is little-known outside of Africa but, like quinoa, the grains are used in porridge and as couscous but is known to be much healthier choice. 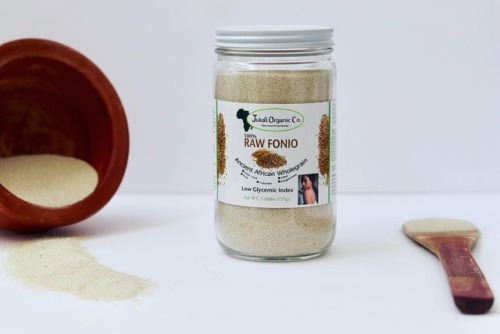 fonio is one of the most nutritious of all grains. It’s so full of protein that it even has amino acids that other grains don’t, making it a much more complete protein source. Fonio is also known to be rich in iron, calcium, magnesium, zinc and manganese. It’s also very high in fiber and has a low glycemic index. Traditionally in Africa, many people that suffer from diabetes eat fonio instead of rice as a healthier substitute. To buy fonio or read more about this superfood? Visit Jukasorganic.com or click on the bio above.